Awapuhi Ginger Root Extract (enhances hair quality, emollient), Hydrolyzed Keratin (moisturizes and strengthens), Cocoa Seed Butter (Moisturizes hair), Coconut Oil Avocado Oil (moisturizes hair shaft), Aloe (for luscious hair). 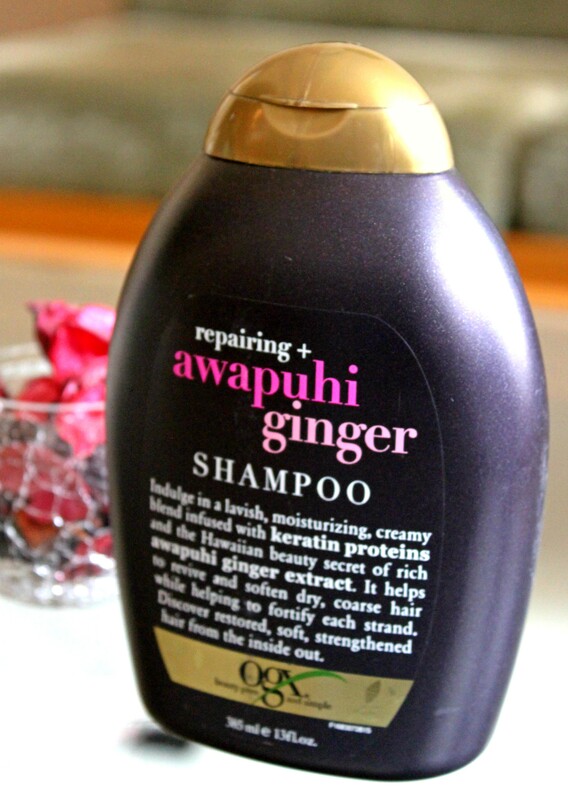 Organix Repairing Awapuhi Ginger Shampoo (Rs. 725/- for 385 ml) is a creamy shampoo in a faint, peachy-pink shade. The smell is a mix of a flowery scent with a very tropical fruity tonality to it. I like to dilute my shampoos – one part to three parts water. A little went a long way and there was a rich lather that did not make my hair strands squeaky. 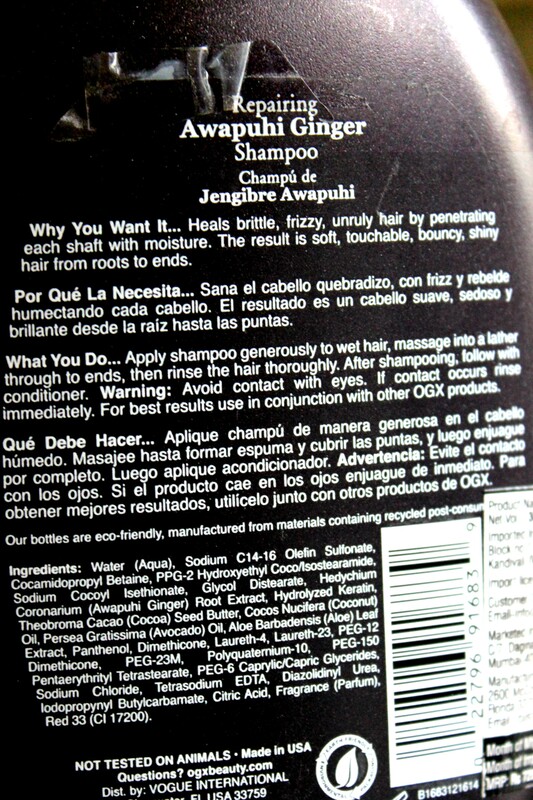 I did not seem convinced initially but I realized hair feels ‘squeaky’ when the shampoo dries out the natural moisture. 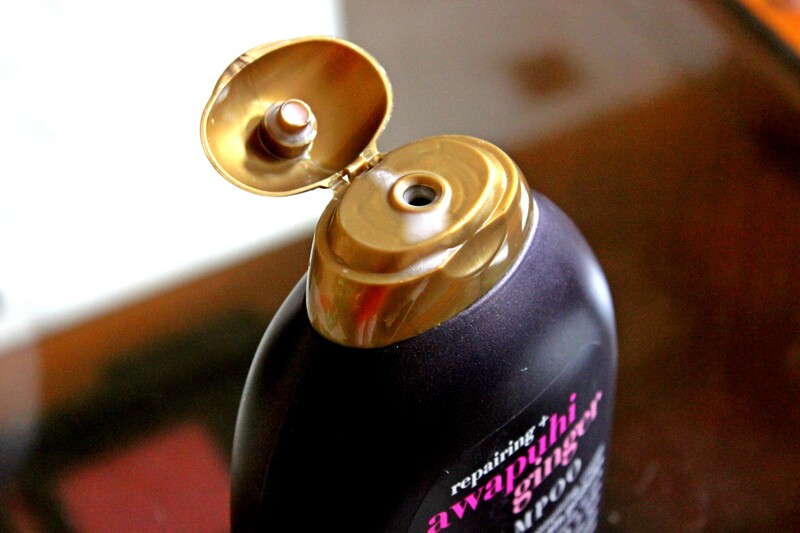 This shampoo cleaned my hair and scalp without using too much product. 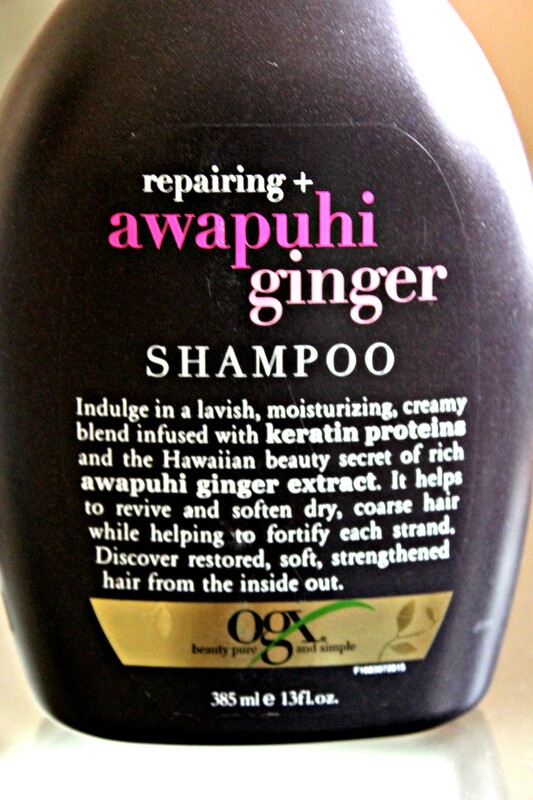 Apparently in Hawaii, women use Awapuhi ginger as a medicine to improve hair texture and quality. I have dry hair and it did control frizz to a very large degree. The shampoo seemed to moisturize the hair shaft and therefore removed the frizziness and flyways. Hair feels soft to touch from tips to roots and is definitely shining with health! All in all, it is a great product for dry and damaged hair. Apply to wet hair and massage to form lather. Rinse out thoroughly. Please please please also review the other shampoos from Ogx!! We will 🙂 All in good time. This review is so spot on! I have used this shampoo and so I know! Please review some latest makeup products also. This is a very nice review. I have used the coconut shampoo from this range and I really like it. What are the best shampoos for summer season?